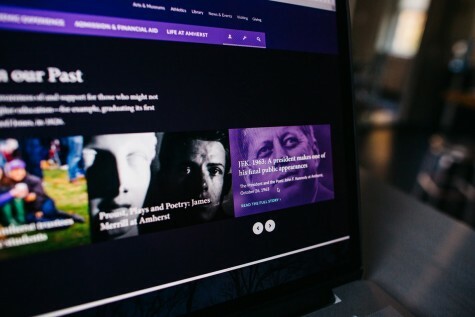 To promote an unprecedented and ambitious new funding effort, an immersive and personal approach to the traditional campaign microsite was in order. Giving is personal. 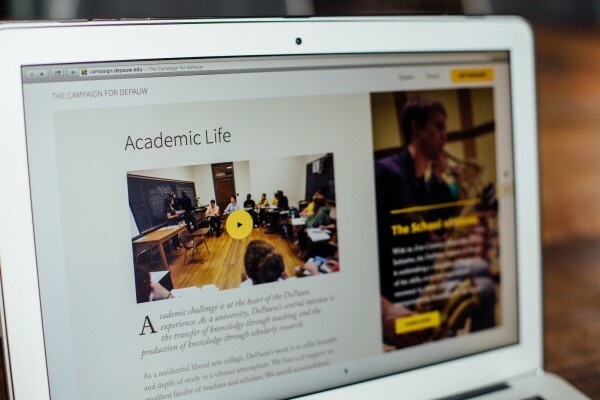 That was the vision behind The Campaign for DePauw's online presence. The Campaign's microsite tells the story of generosity through large, immersive video experiences and personal profiles that let DePauw alums share the reasons for and benefits of giving in their own words. While the goals of the Campaign are important and lofty, the overall message is one of simply being involved. The calls to action focus not on dollars and cents, but on how to contribute to the enrichment of someone's life or give back to a community to which you still feel intimately and gratefully tied. 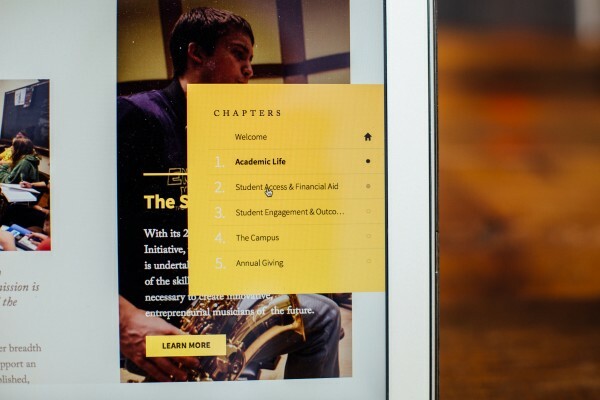 A fully responsive layout was an unquestionable necessity for The Campaign for DePauw's new website. Ease of use at any screen size was an imperative goal of the project. 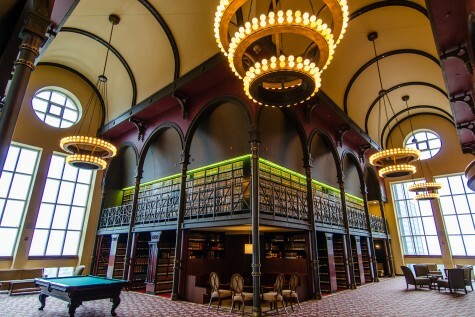 As an experience focused around voluntary philanthropic action, there is little motivation for the user to persist if the experience becomes frustrating or difficult. Once a site visitor commits to "getting involved" in the Campaign, the site has to make it as simple as possible for that user to accomplish his or her goal. Being cognizant of content hierarchy, page load times, performance budgets, and the like all contribute to a pleasurable experience from the desktop down to the handheld device. A thoughtful custom video integration with Wistia helped to push the enveloping quality of the videography created for the Campaign. Whenever possible, custom branded players were used at full width to maximize the close emotional connection of the content.